Are you concerned about the quality of your drinking water? Maybe all the news stories about contaminated water supplies has you worried. It's a legitimate concern. After all, clean water is essential for good health. That's a pretty shocking statistic, isn't it? 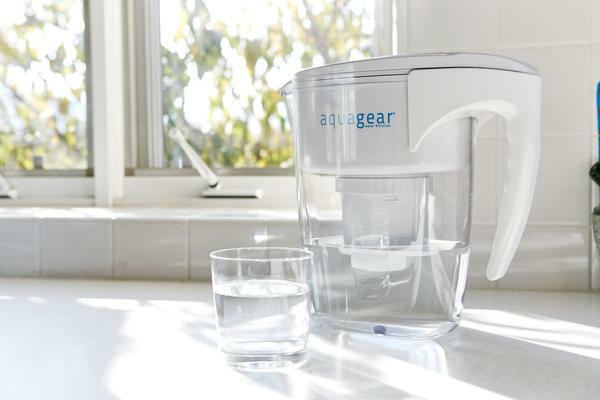 It's no wonder that more people all the time are turning to water filters to protect their health. Everybody knows what air pollution is, right? Those are good examples, but guess what? Air pollution isn't limited to just the outdoors. Are you still buying expensive, synthetic chemicals for countertop cleaning from your local supermarket? Of course you want to keep your kitchen countertops clean and free of germs and bacteria. After all, they come into contact with the food you eat. But there’s no reason to spend money on expensive cleaners that might be full of harmful ingredients. You probably know that distilled water is good for aquariums, car batteries, and clothes irons. But is it good for humans? Should we be putting it in our bodies? Lead in drinking water is "one of the greatest environmental threats we face as a country." So said Scott Pruitt, head of the EPA, earlier this year. He also said that the agency hopes to eliminate the problem in the next ten years, but apparently there is no plan in place to accomplish that goal. Hmm. Are you concerned about lead in your drinking water? If so, I have a suggestion for you. Don't wait around for the government to fix the problem for you. You might be waiting for a long, long time. Do you want to improve your indoor air quality? Are you wondering if an air purifier is what you need? It's always best to try to get at the source of your indoor air problems and change what you can. But if you've tried everything else and you're still having issues, a good quality air purifier could be the solution. Are you interested in getting started with dehydrating foods without spending a ton of money?